"I was very impressed with this book. I enjoyed the author's sense of humor and the way she drew you into the lives of these two men who were clearly destined for each other. Good conflict, resolution, and banding with the local wildlife." "This is a very important project. These stories, fictional though they may be, are our stories. Tales from a community, the shoulders upon which, everything we enjoy today was built. What's more, Mr. Seaton clearly understands to need to hook a reader early and keep him for the duration. Setting and sensory details were vibrant, and spot on! I felt like I knew all of these people. Characters practically leapt off the page. A bit purple in places, but overall, the writing is exceptional." "Well-written and gripping historical novel! The period details are lovely. Both Jo Erin and Susan shine as complex and full characters, each strong in their own ways. The plot was captivating, with only a few points that lulled. The romance was slow-burning, well-woven, and in the end, sensual. Very glad to see these women sail to their well-deserved HEA. A pleasure to read!" "Overall the book was highly entertaining. Loved Midnight Messages, Batteries Not Included, Lost And Found, Sisters Of The Moon and Wolf Moon." "A very engaging story of love. No wasted scenes or words, great pacing and wonderful characters. There was no over the top misunderstanding. It was just two women learning each other and making their way to each other; very well done." "Although the story seemed slow at first, I really liked the detail because, as the reader, I got much insight into what motivated the MC. I also liked that the love interest wasn't a handsome stud and the development of the physical aspect of their relationship was not made easy by him. Nick really had to work hard to prove he was no longer the shallow sleep around guy. I got a real sense of place in this story. The MC started off as a shallow guy who only slept with pretty girls and had to deal with quite a few hard realisations about not only himself but also his so called friends as he came to terms with being gay - a detailed journey of personal growth. The character's voice was engaging, although it took me a little while to get into his story because of the slow development." "Very well written. Good character development, I felt like we know Mack & Oliver pretty well. I loved the setting of the story and will definitely be reading more of this series. I really enjoyed the authors writing style, which flowed nicely." "Yes, this book is brutal, and painfully so, but the brutality is never glamorized. The intensity of emotion in this book is raw and honest. The main characters made me care deeply for their plight, although the antagonists were also well-drawn and not cardboard cutouts. Overall, an impressive story that gripped me from the beginning and makes me want to read the other books in the series." "What started off slow became a whirlwind of action. I really felt the riots of Stonewall come to life. A little tidy at end, but not a complete set of bows. 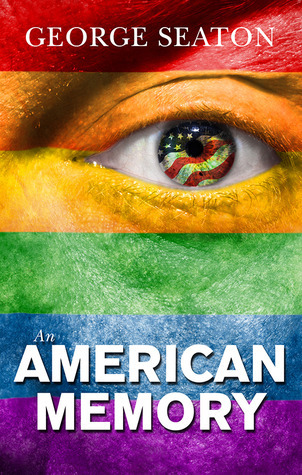 Would love a sequel to follow how gay liberation affects everyone's lives. Also what a great commentary about gay relationships in 1969. Like a time capsule, but then the author lived thru it, so he should know. I loved this book." "The editor did a superb job of representing the often-overlooked B in QUILTBAG. I’ve never read such a colorful, balanced, and engaging anthology—a collection that, by and large, demonstrates the short-story form at its finest. Each plot was unique and inventive, with a distinctive tone; each presented bisexuality in some unexpected instead of banal way. Main characters (and, in many cases, supporting characters, too) were so well-developed, they seduced me into accepting their realities. Settings were varied—in place, time, and cultural context—and vividly portrayed. Each subgenre (contemporary, paranormal, fantasy, historical, even a touch of YA) was represented. I was enchanted, as if each tale took me on a trip with fascinating people whose company I rarely tired of."